‘Notes From An Island’ is a beautiful record. It is a heartbreak record that explores the parallels between personal solitude and national isolationism. Blair has been writing and collaborating to develop his well-established sound and whilst retaining core values from his folk heritage has been able to deliver a hard-edged, sonically beautiful commercial record. This album comes as a result of collaborations with Ed Harcourt (Mercury Award Nominee 2001, producer for Sophie Ellis Bextor, Marianne Faithfull), Dave Burn (ahab), Gita Langley (Dirty Pretty Strings, Lock) and Brooke Sharkey. The Island is both literal and metaphorical! Having been through some challenging personal times and dealing with the break up of a relationship Blair also sets the album in the context of political isolation and a pre Brexit Britain, reflecting on the irrelevance of borders in an interactive and socially amorphous world. This is Blair’s most mature work to date and also is most accessible; skilfully acknowledging his folk roots and heritage but also creating sharp edged songs destined for commercial cross over. With a bold march and harmonic guitar fanfare the album begins with Spices From The East, a skilful examination of the transient nature of food in a borderless world reflecting its passage over time and cultures irrespective of political influence. Blair is joined on this track by long time band mates Fred Claridge and Jacob Stoney (who feature throughout the record) and also Tom Moore and Archie Moss on Melodeon and Fiddle. Feng Shui then examines the moving of furniture around a home to improve a relationship that is destined to fail. Sweet On You is destined to become a classic. A boy meets girl with a twist. As he realises the shallowness of the girlfriend and the fact that he shares more in common with the mother…particularly a penchant for Ry Cooder! Other highlights include Green Liquor that examines a London where properties sit empty alongside the homeless, Wed To Arms; a throw back to folk rock influences and mid Fairport Convention sounds that becomes the lyrical corner pin of the album by developing themes of political and emotional isolation. 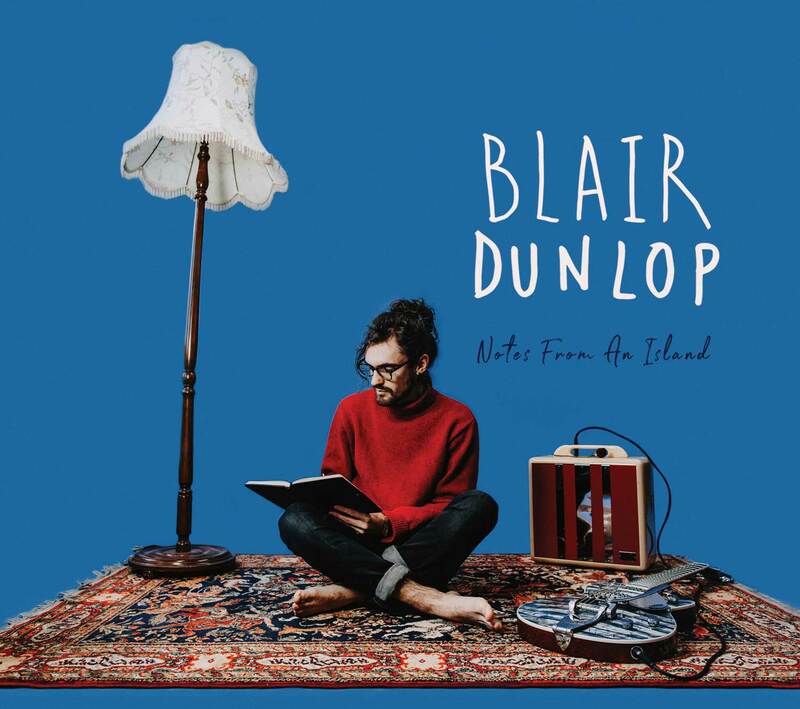 This is a bold album, a contextually solid work that sets Blair Dunlop firmly in the seat of modern British songwriters that have interesting things to say about interesting subjects!